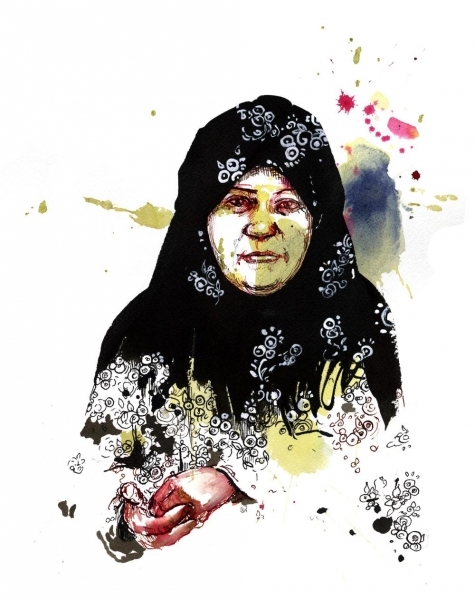 “We accepted the sorrow, but the sorrow didn’t accept us.” Ibtisam sat in the dust, laughing, her broad, witty face framed by her flowered hijab. 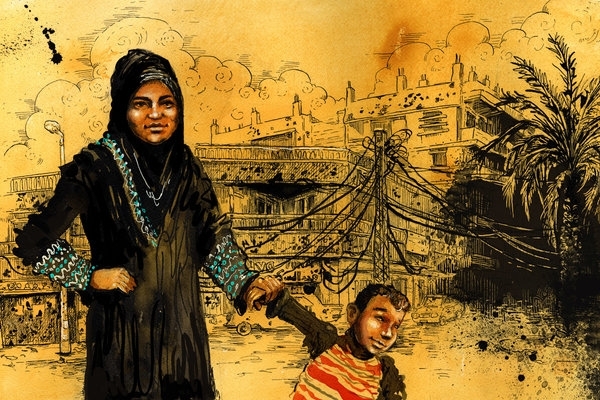 In her 45 years living in Gaza, she’d seen so much sorrow that laughing is the only real response. 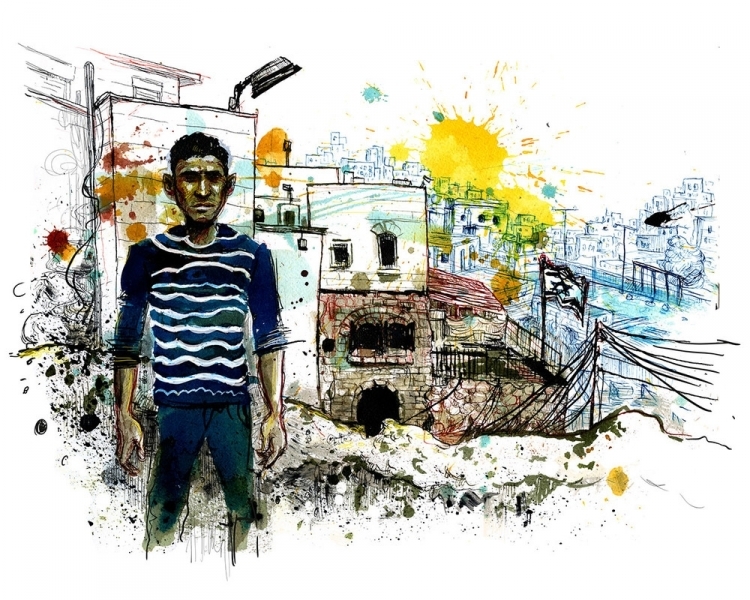 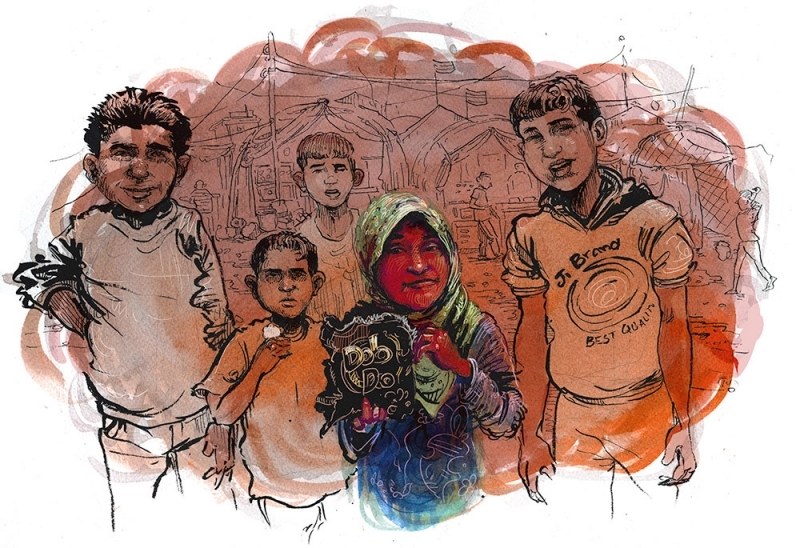 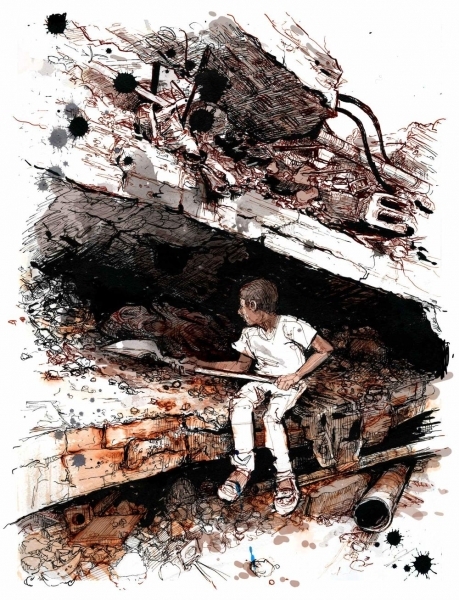 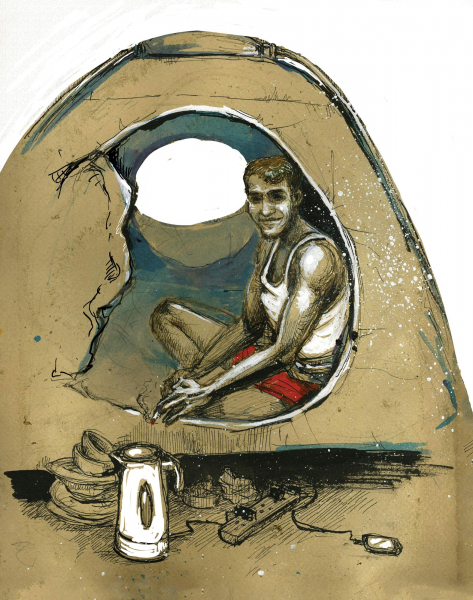 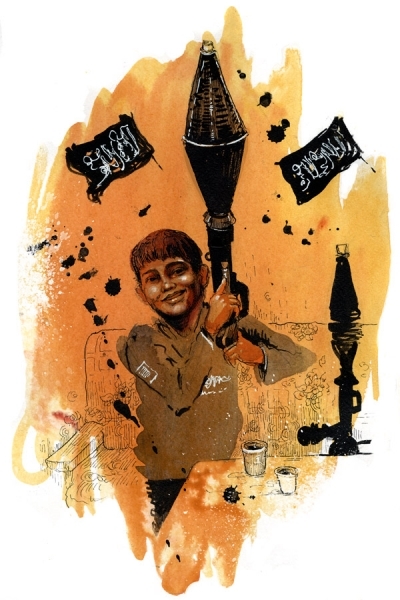 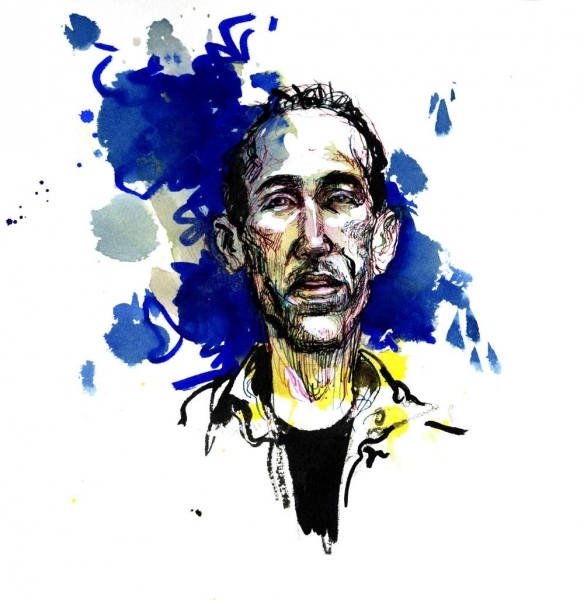 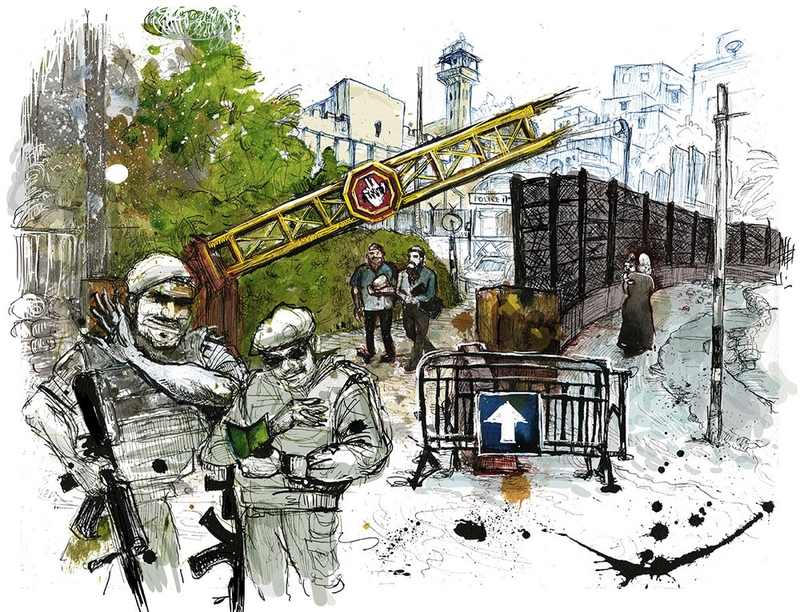 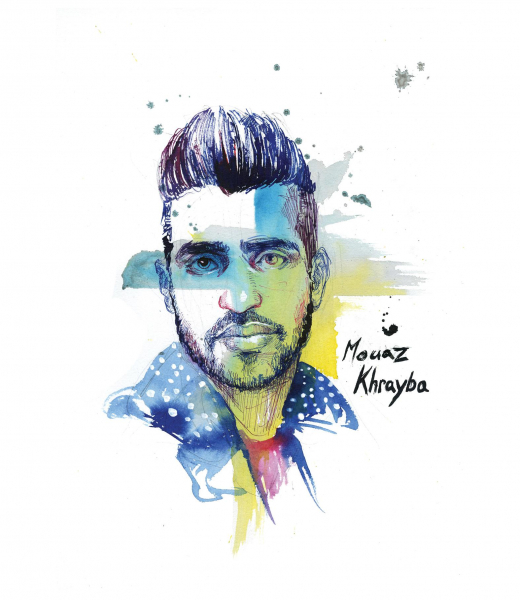 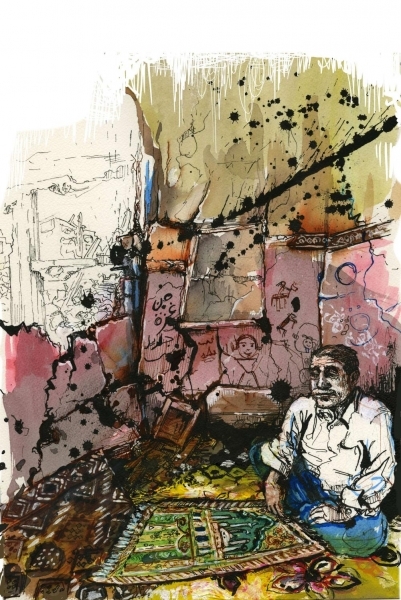 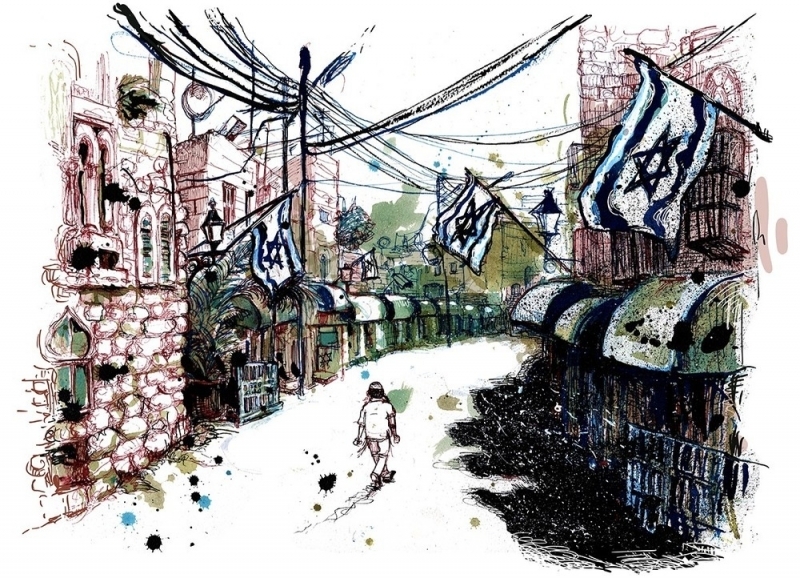 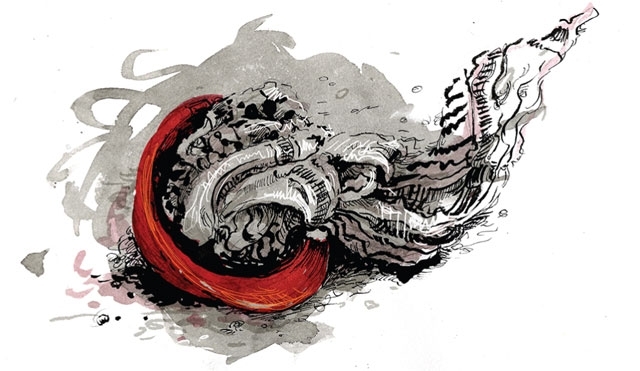 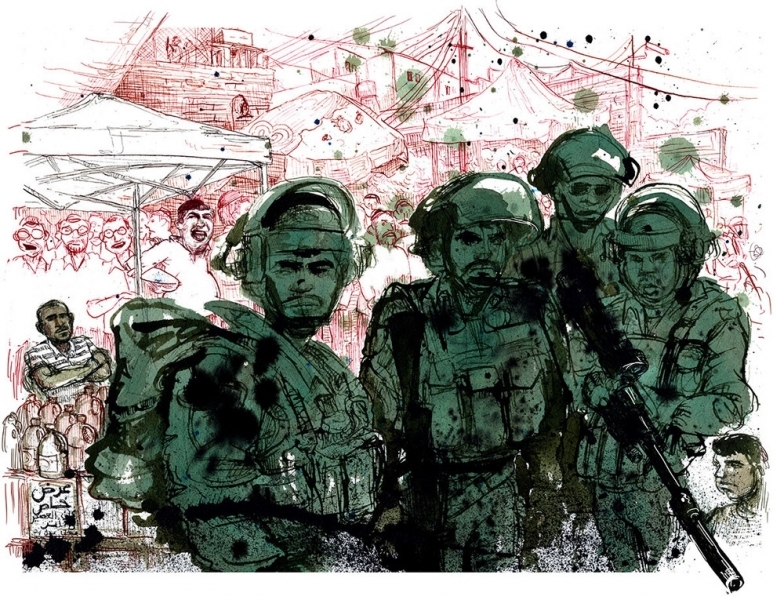 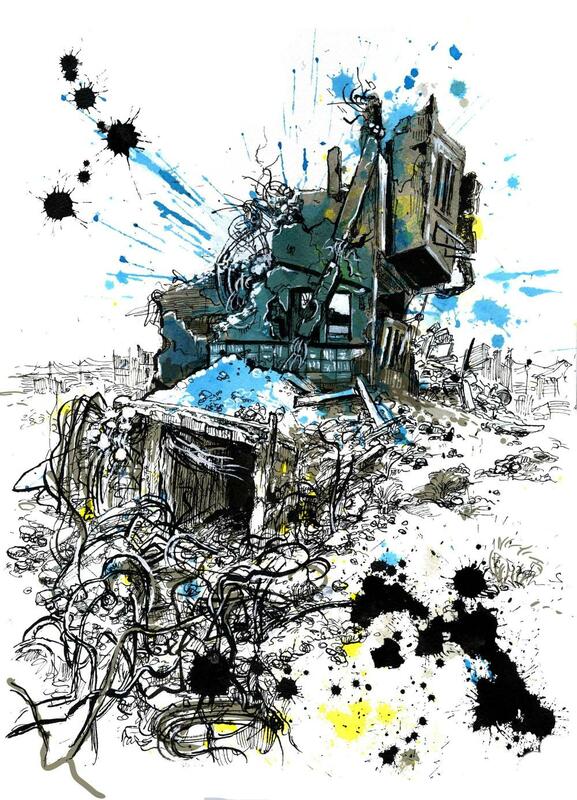 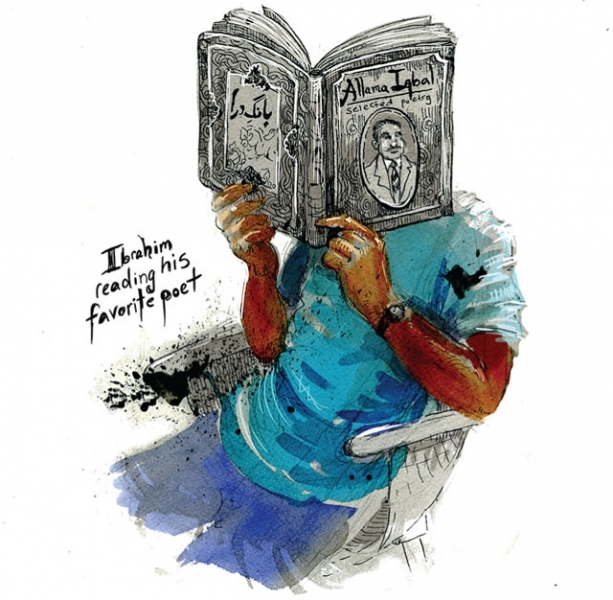 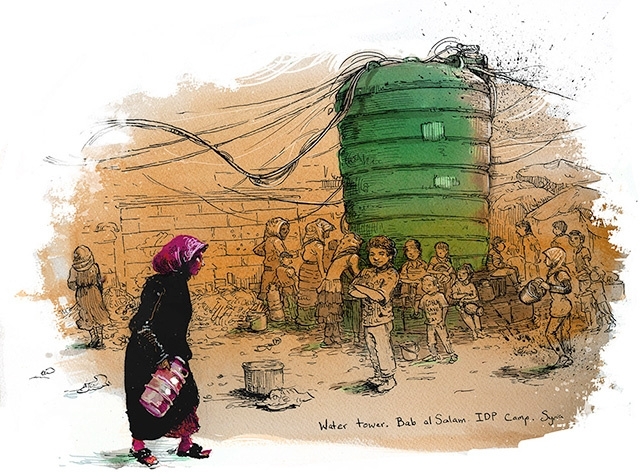 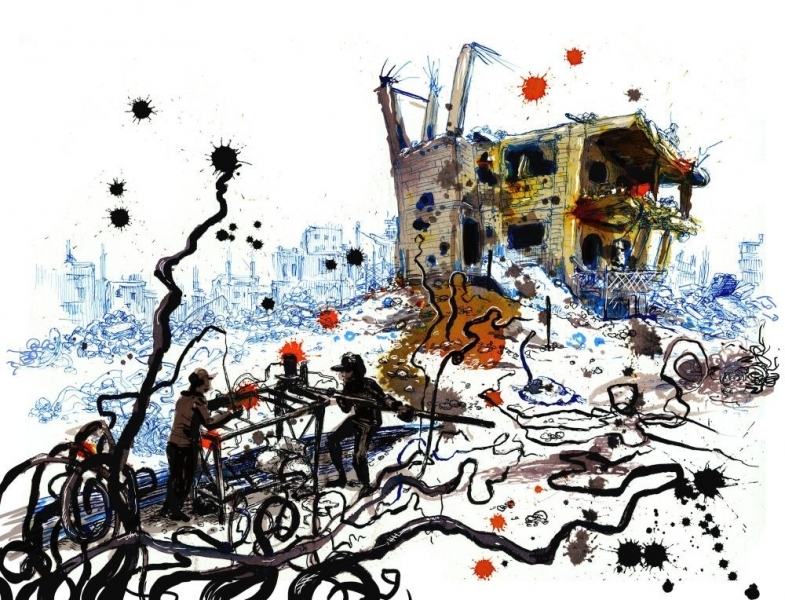 “Shujaiya Dust: Gaza Is Still In Ruins a Year After the War” – Molly Crabapple. 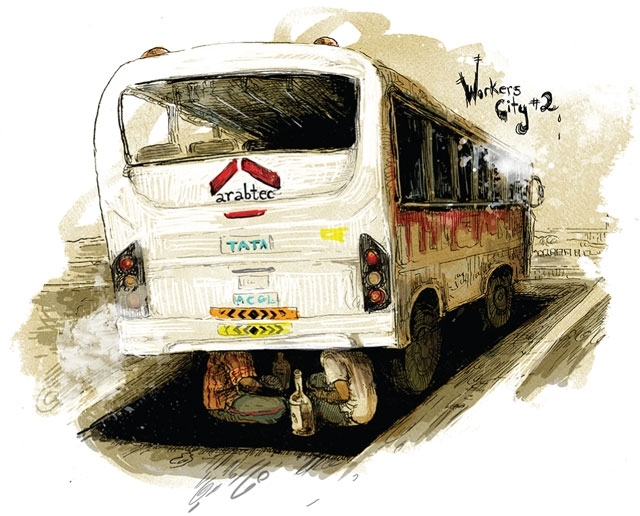 “The catch was that the prostitutes had to agree that they were victims. 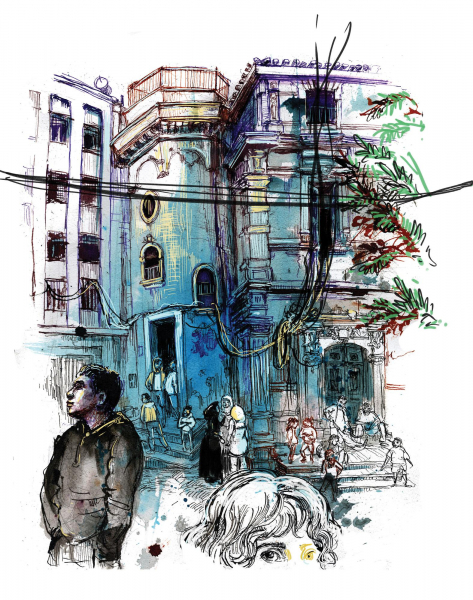 The “white slavery” interpretation of prostitution—that prostitutes had been forced into the business—allowed feminists to see themselves as rescuers of slaves. 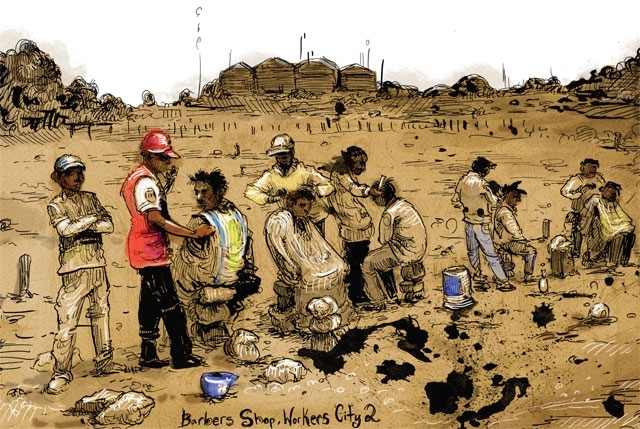 But if the prostitutes were not contrite… they lost their claim to the aid and sympathy of the reformers. 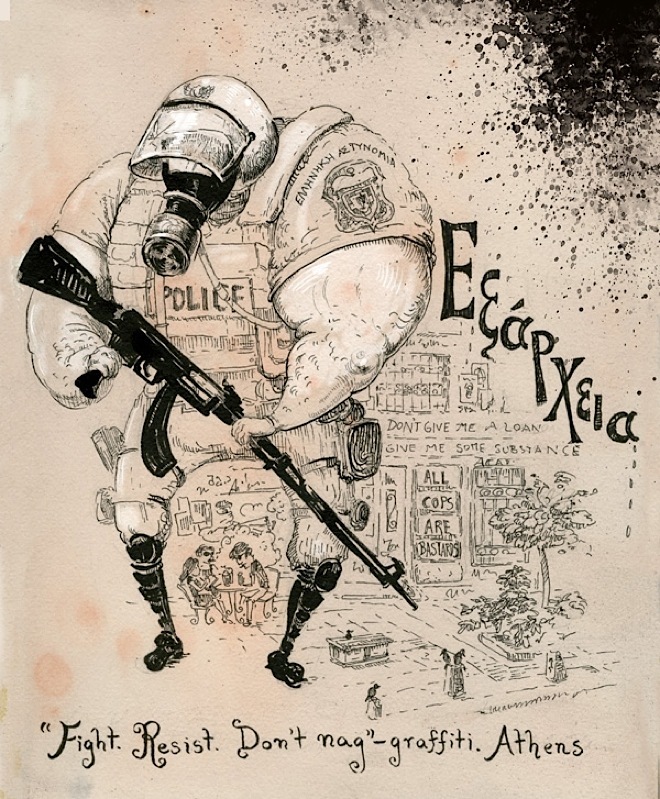 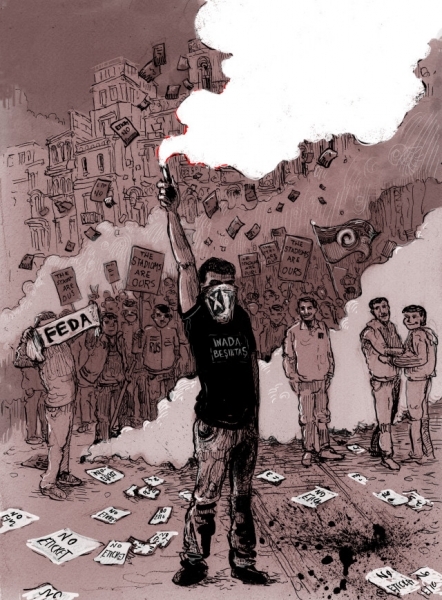 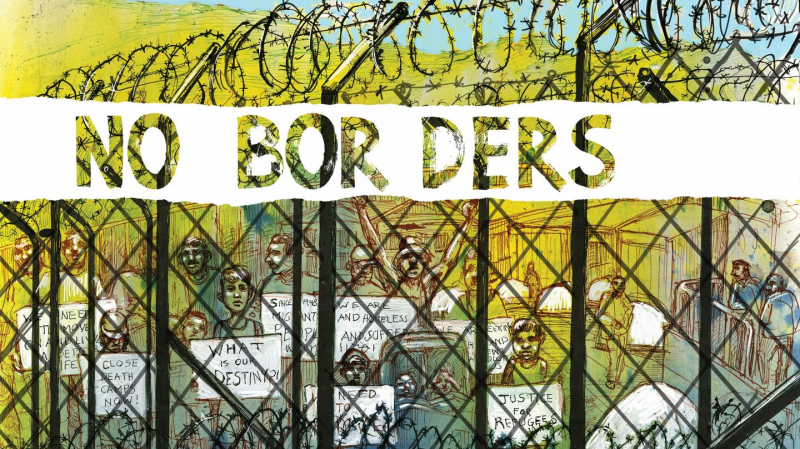 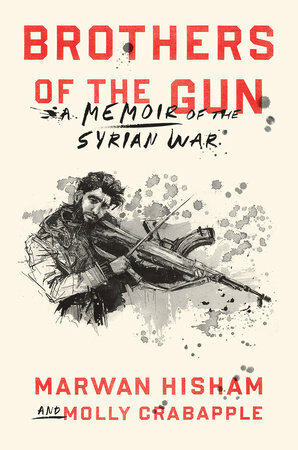 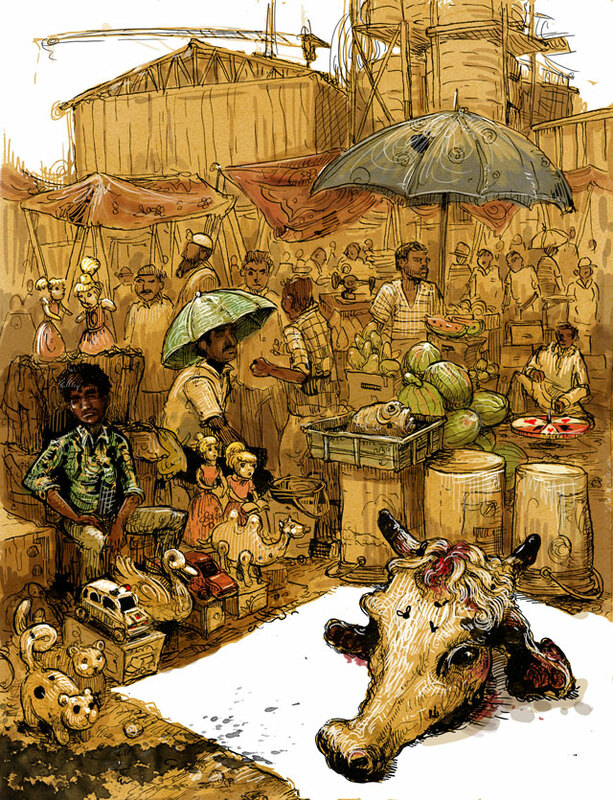 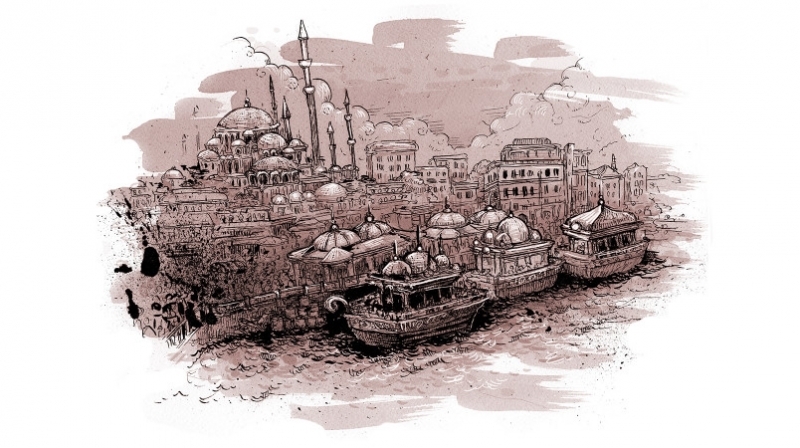 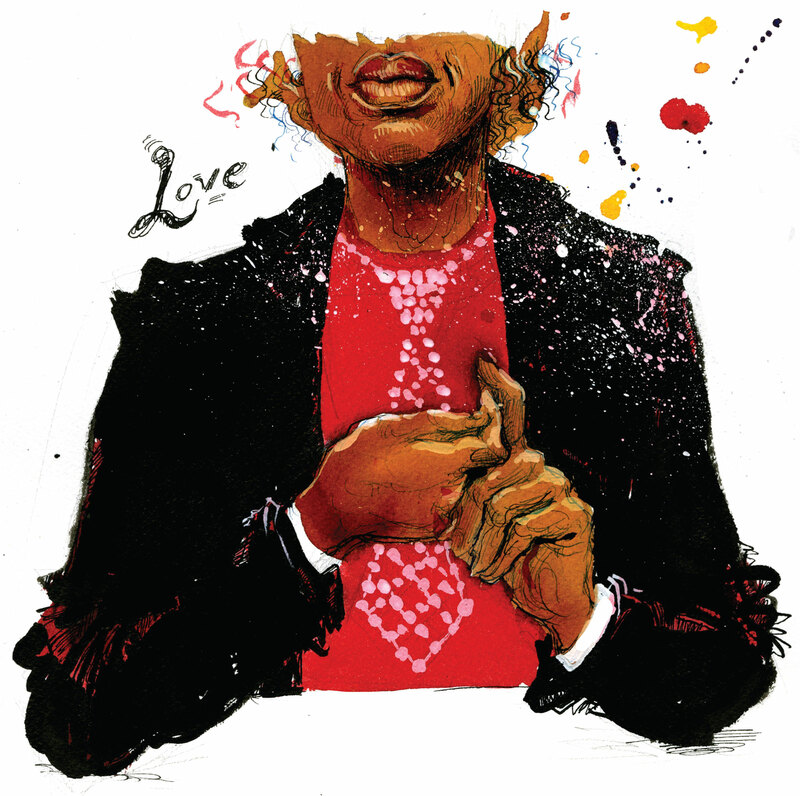 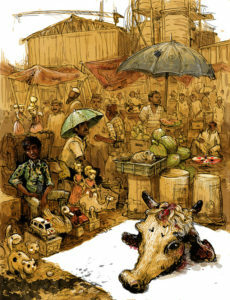 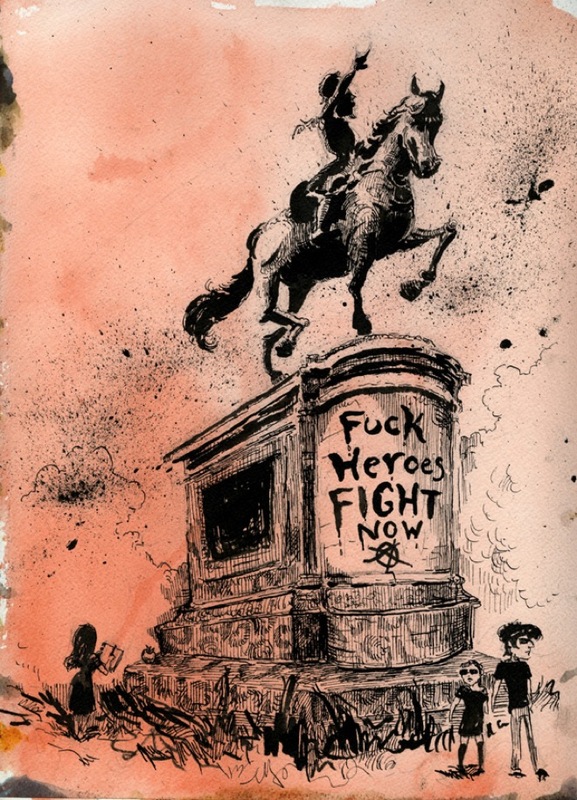 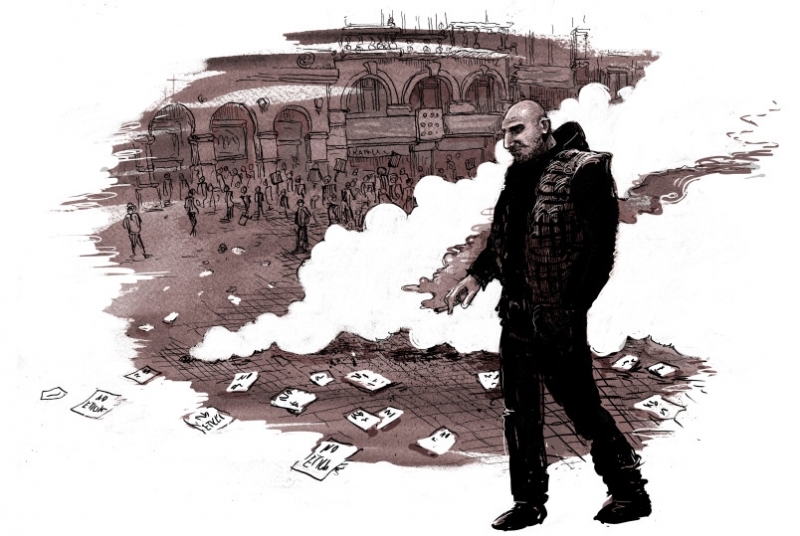 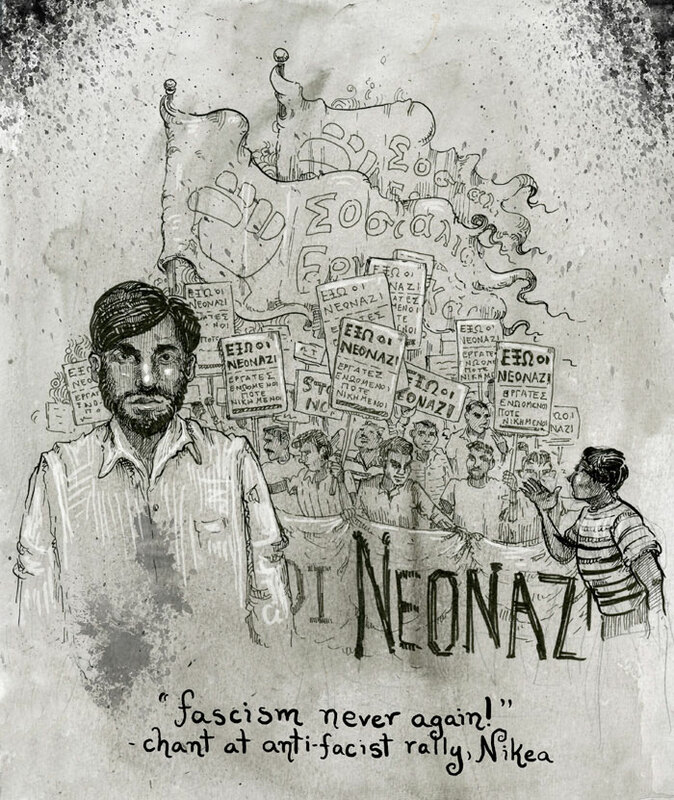 In the summer of debt and doubt after the euphoric Occupy street protests of 2011-2012, Molly Crabapple and journalist Laurie Penny travelled to Greece to witness and document a nation in the grip of a gargantuan modern tumult. 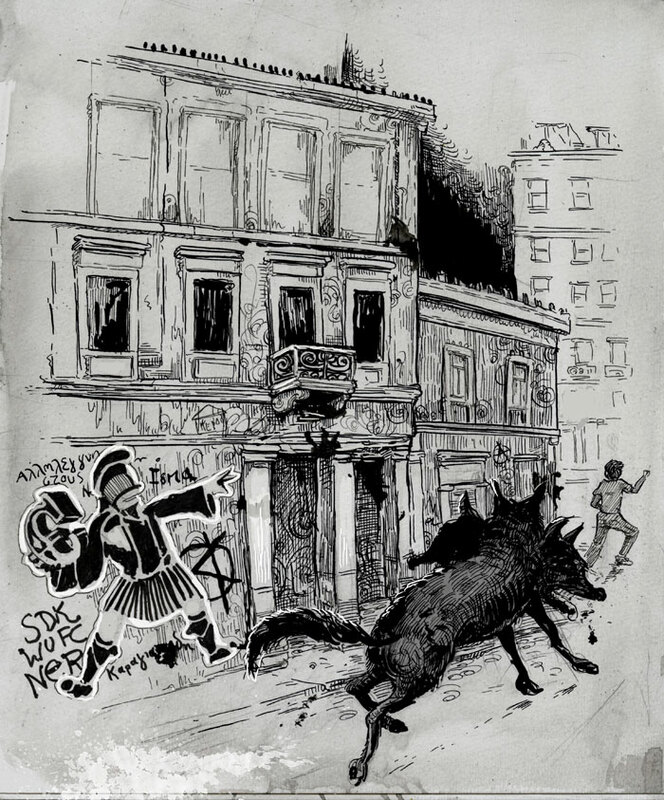 There they drew and interviewed anarchists, autonomists, striking workers and ordinary people caught up in the greek crisis. 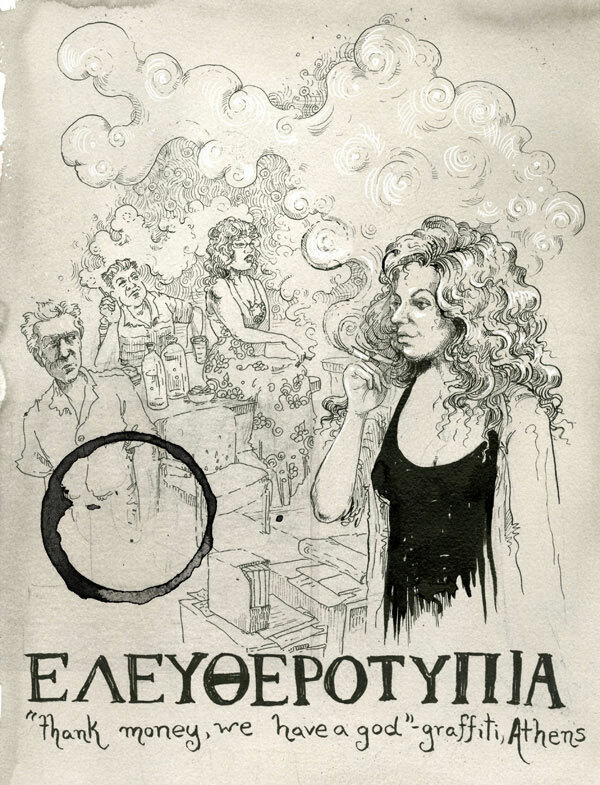 Through this climate of chaos Discordia weaves together the personal and political, picking out the human elements of the Greek crisis that are recognizable to any generation struggling to articulate its purpose in a world of spiraling unemployment, democratic collapse and civil unrest. 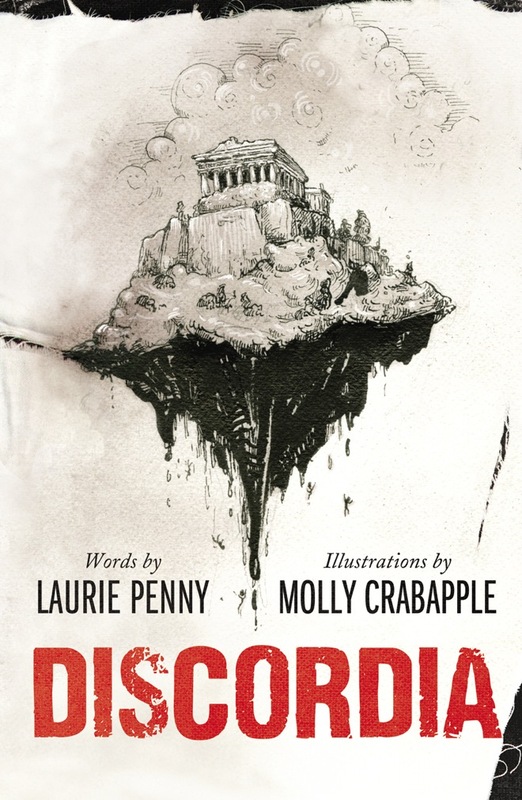 Discordia was released as an e-book by published by Random House in 2012 and is available for download from most major retailers. 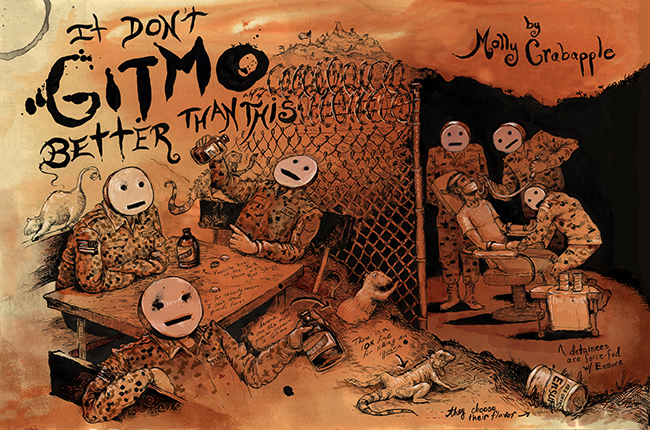 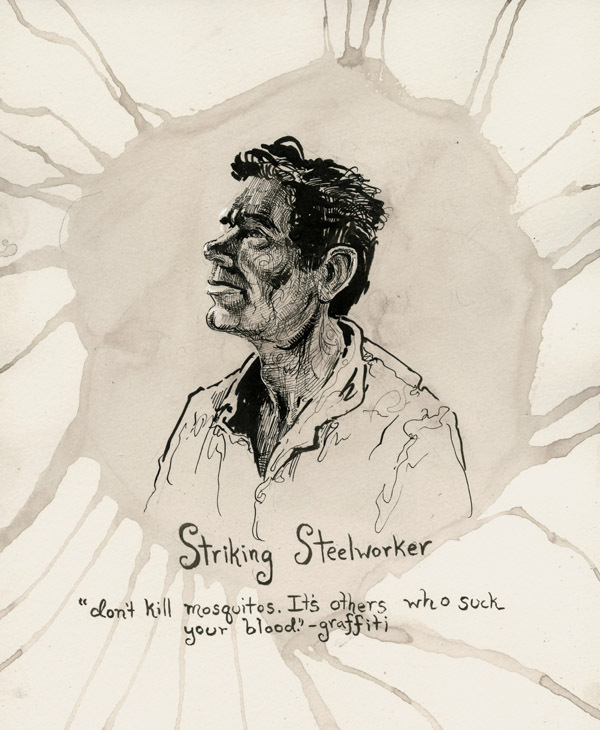 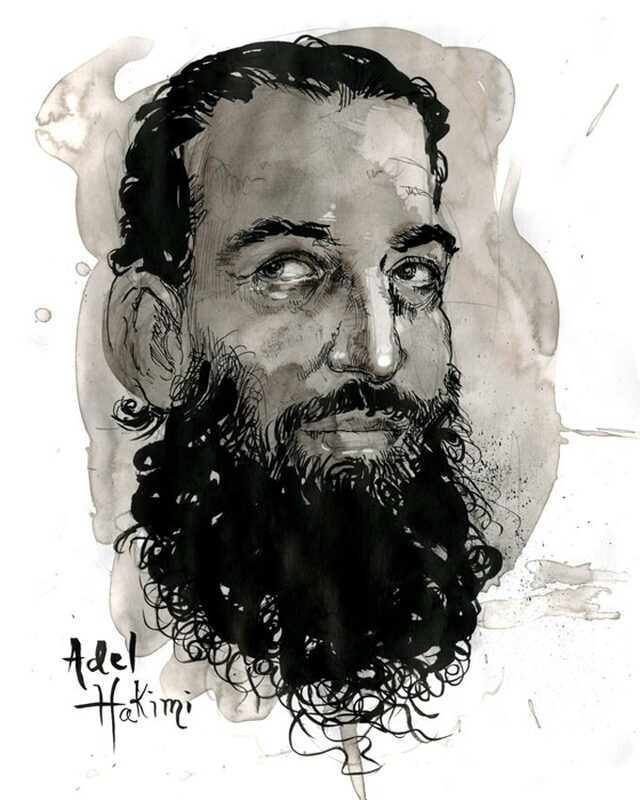 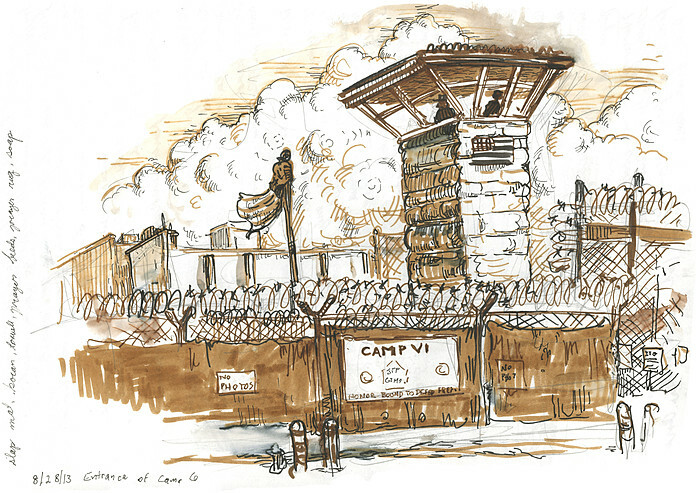 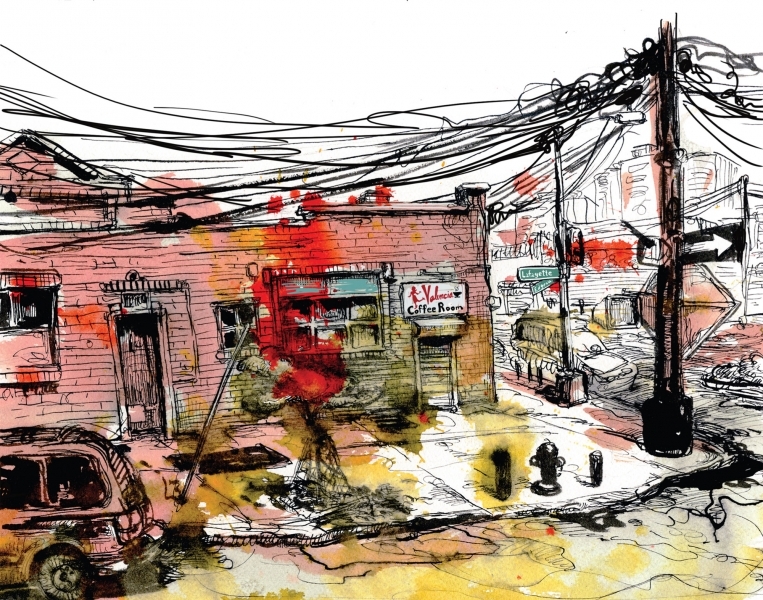 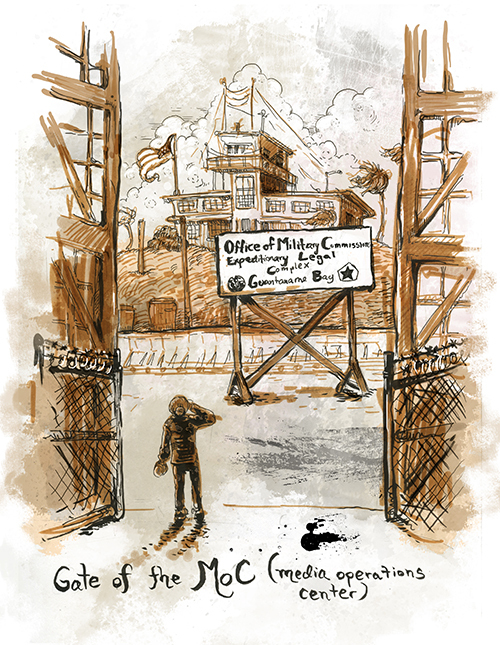 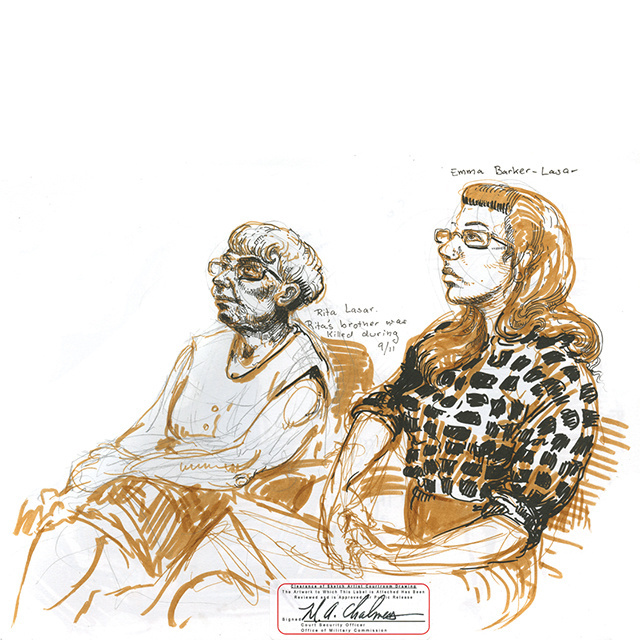 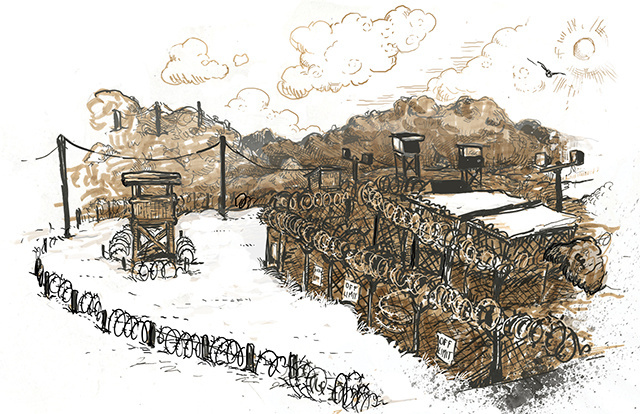 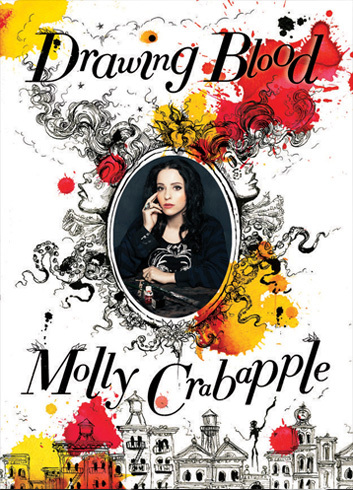 Molly Crabapple visited Guantanamo Bay in July 2013. 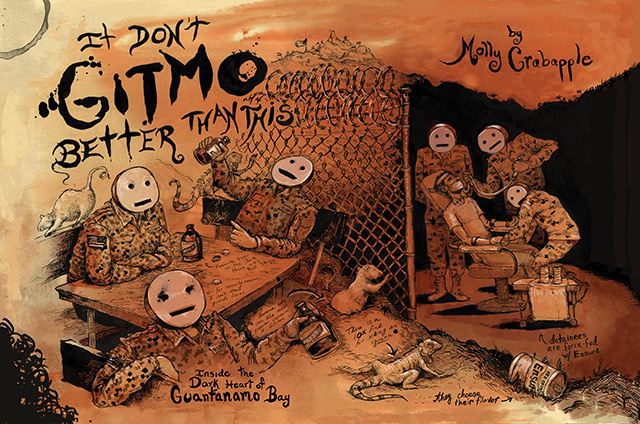 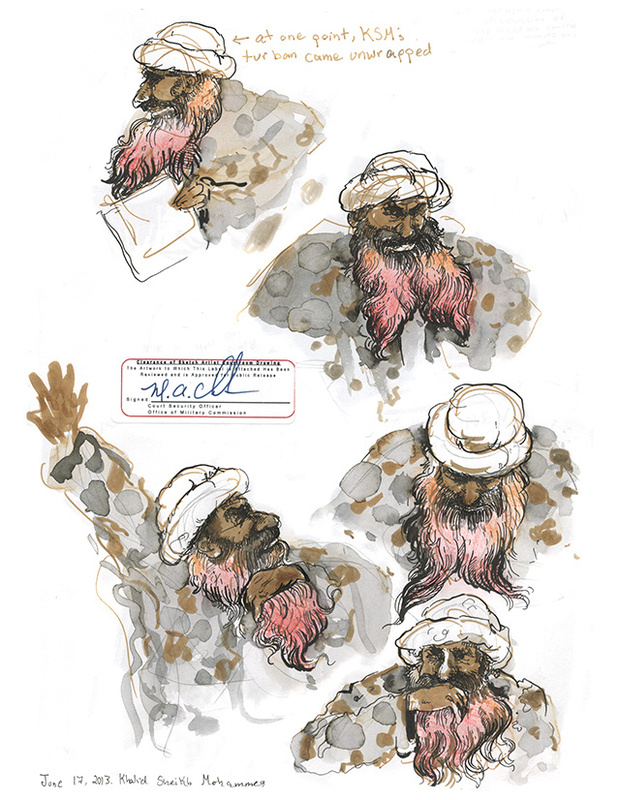 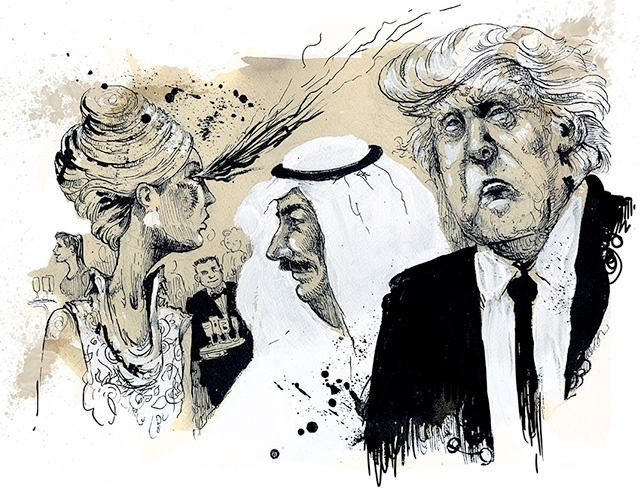 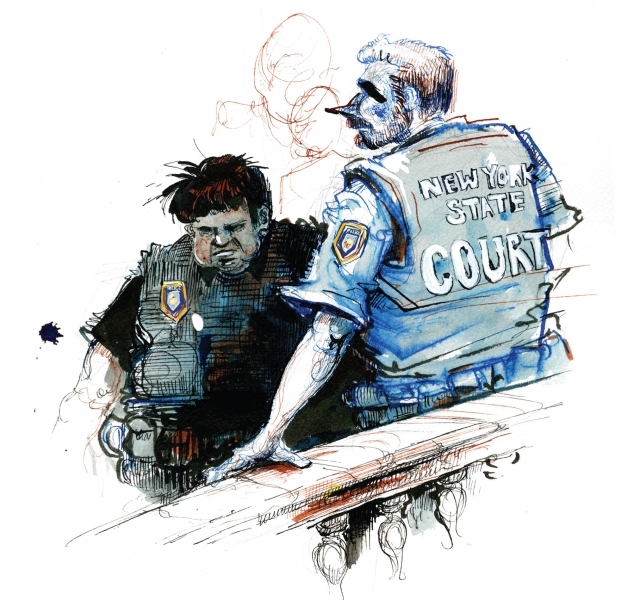 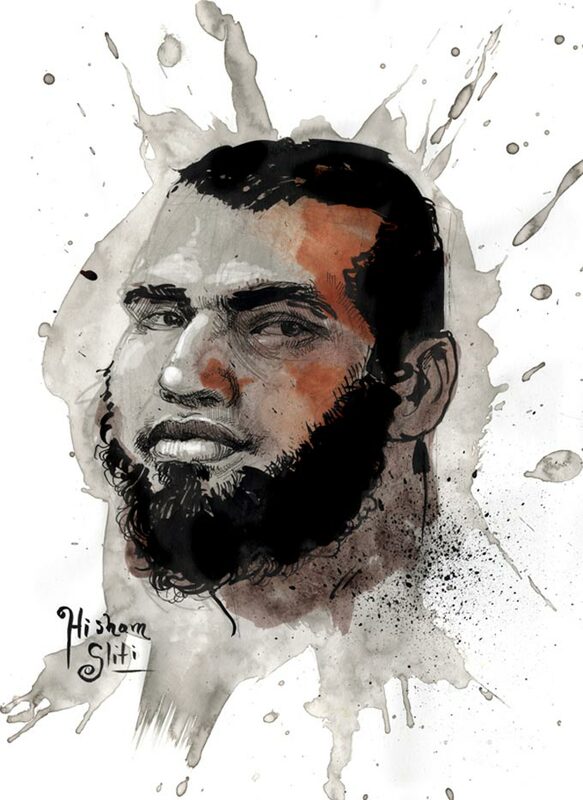 She drew Khalid Sheikh Mohammed’s hearings, the prisons themselves, and filed illustrated journalism for VICE, The Daily Beast, The Paris Review, Der Spiegel and Corriere della Serra. 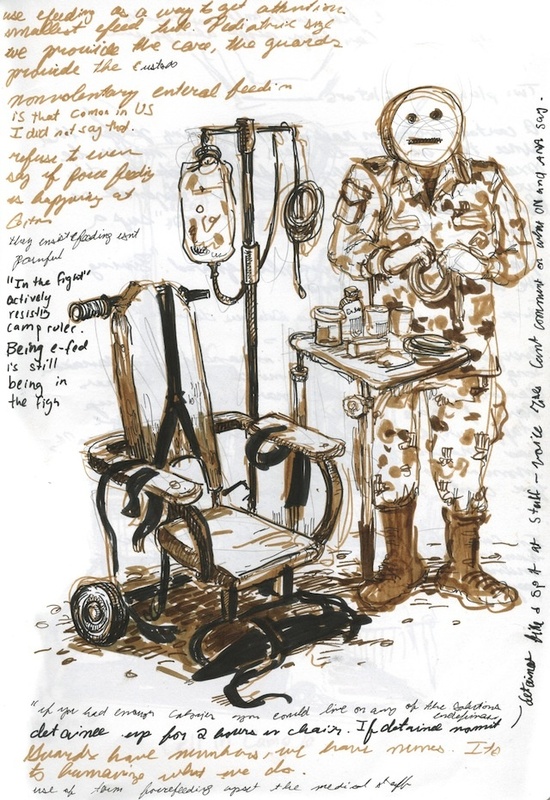 Drawings done to accompany journalism Molly filed from around the world, including Lebanon, Syria, Turkey, Abu Dhabi.